Multiplayer in Super Mario Sunshine? Do you ever wish you could explore Isle Delfino with your friends? Or maybe just have some jerk control Shadow Mario and make everything ten times more difficult? Think something like Super Mario Star Road needs to exist for Super Mario Sunshine? As you can see, it works pretty well already, especially for a proof of concept. Both characters can move separately in levels. Shadow Mario has all of Mario’s own moves to mess around with. And the camera even does that Smash Bros effect where it zooms out to try and fit them both on screen. For a fancy tech demo with no other visible progress, it’s working far better than I’d have expected. Will it be co-op multiplayer or competitive multiplayer? Because based on the video, it seems like a Shadow Mario version of Bottles’ Revenge (from Banjo-Tooie) or Bowser Party (from Mario Party 10) could be much more interesting than traditional co-op. 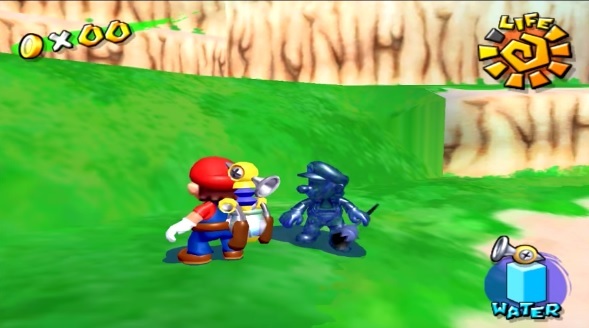 Imagine having Shadow Mario try and steal Shine Sprites and Blue Coins from underneath Mario! Or if each player had a Shine Sprite total to compete for. What will Shadow Mario’s abilities be? Because he’s not just a carbon copy of Mario, he has the Magic Paintbrush instead of FLUDD. So it’d be interesting to see that factor into how he plays, like giving him the ability to draw paint or use it instead of water. How will the engine cope with edge cases? Does the room select follow Mario all the time, like when he enters a secret level? And what exactly will happen when one character gets a Shine Sprite? But hey, those are all questions for a later date. 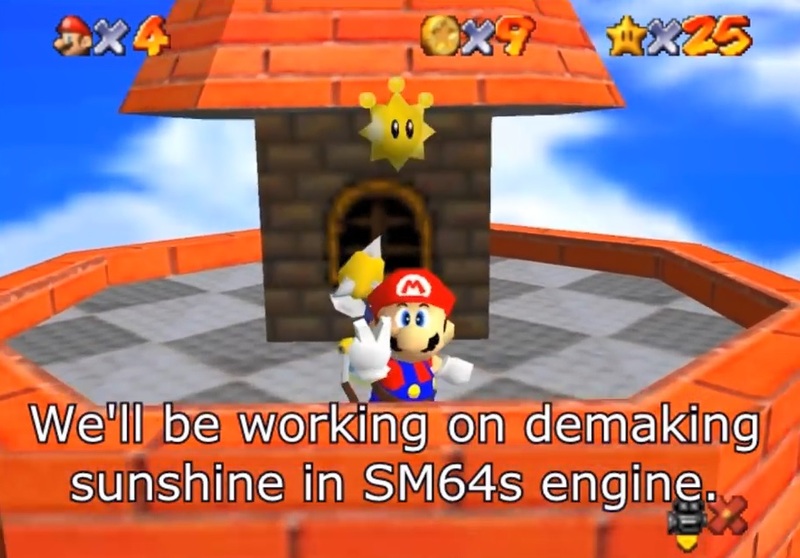 For now, let’s just think about how awesome it is that Super Mario Sunshine might be getting multiplayer at all, especially after how well a similar mod worked for Super Mario 64. So what do you think about it? Are you excited by the possibility of having Super Mario Sunshine as a multiplayer game?